*online price for 1 box compiled by mystery shopper on 7/28/17. Listed prices are estimates and do not include any applicable tax, shipping, processing and handling costs as well as any manufacturer rebates, if any, and any sales or promotions currently going on merchants' sites. 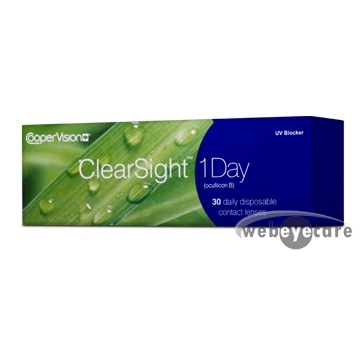 30 lenses per Box - ClearSight 1 Day daily disposable contact lenses offer you the perfect combination of comfort - convenience and great vision. The contacts fit perfectly and are very comfortable. The delivery arrived very quickly and I was satisfied the whole process only took five days. THANKS A BUNCH. NOW I CAN SEE AGAIN.